Someone must've told Lake County Board Chair Aaron Lawlor that this is opposite day. 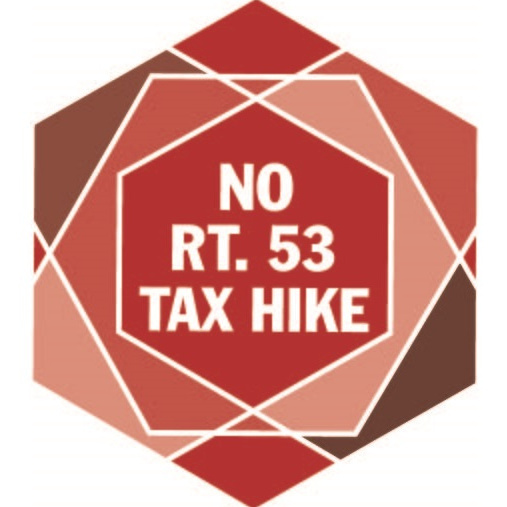 That's because Lawlor threw the Route 53 Extension under the bus. Monday's stunning announcement by Lake County Board Chairman Aaron Lawlor that he's withdrawing support for the Route 53 extension and suggesting instead officials concentrate on a "greenway" corridor leaves the Illinois tollway in the odd spot of championing a project dropped by a prime backer. Lake County's Lawlor pulls Route 53 support; study still on? Lawlor (who is believed to have been advocating for the Route 53 Extension since before he learned to drive) chairs the Route 53 Blue Ribbon Advisory Council. With his abrupt pull-out, Lawlor leaves the Illinois Tollway Authority holding the bag -- a bag with a $50 million hole in it to cover the cost of a planned Environmental Impact Study. Your LakeCountyEye observes that this is an election year. And Aaron Lawlor discovered he was on the wrong side of a suddenly unpopular public works project. And with the certifiably crazy Donald Trump atop the GOP ballot, many local Republican office holders fear for their jobs. A rising tide may lift all boats. But these boats are moored inside the men's room of Trump Tower. Note to the Illinois Tollway Authority: Elected officials do what they need to do to stay elected officials. No surprise here. Just another sellout, Lake County d'bag influenced by the elitists lining his pocket.